In previous post, discussed about to max and min value of BST. 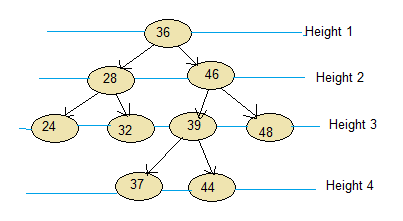 In this post, we will see how to find the height of binary search tree. Height of binary tree is number of edges from root node to deepest leaf node. Height of empty tree is 0. See the below BST, Height of BST is 4.